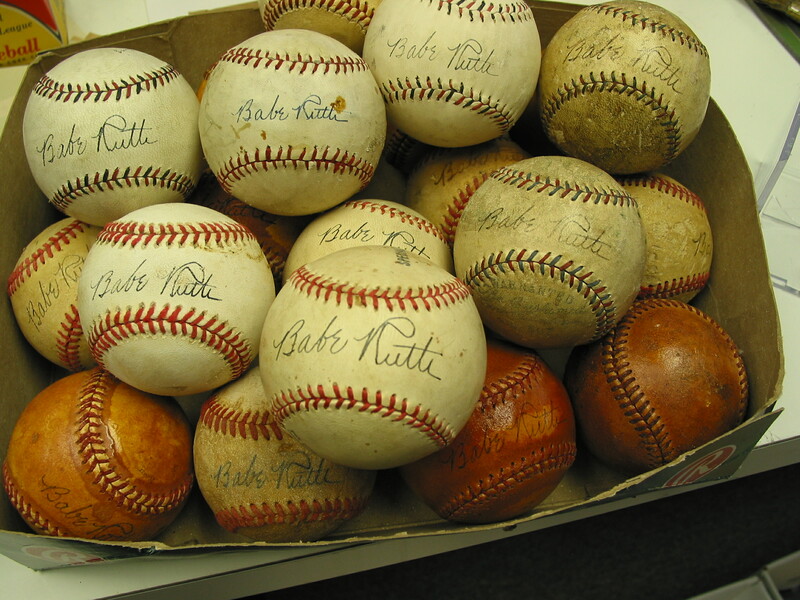 BY KEVIN NELSON Sept. 3, 2010 Anyone who is interested in forgeries and fake memorabilia—and that means virtually all collectors—needs to go right now to YouTube and watch the famous HBO “Real Sports” program on Operation Bullpen and the crooked authentication racket. I wrote a book on the case and I had never seen this program until today. Apparently it was on Youtube for a while, and then it was taken down. My guess is that the reason for this was the $5 million 2008 Donald Frangipani lawsuit against HBO that claimed the cable network defamed him in its coverage. A judge dismissed the case in March, and now the video is back on. Frangipani, one of the dubious “experts” who authenticated thousands of fake pieces in the $100 million Bullpen ring, makes an appearance in the program. In a sting set up by the journalists, he is shown giving his stamp of approval to several pieces of fake memorabilia. 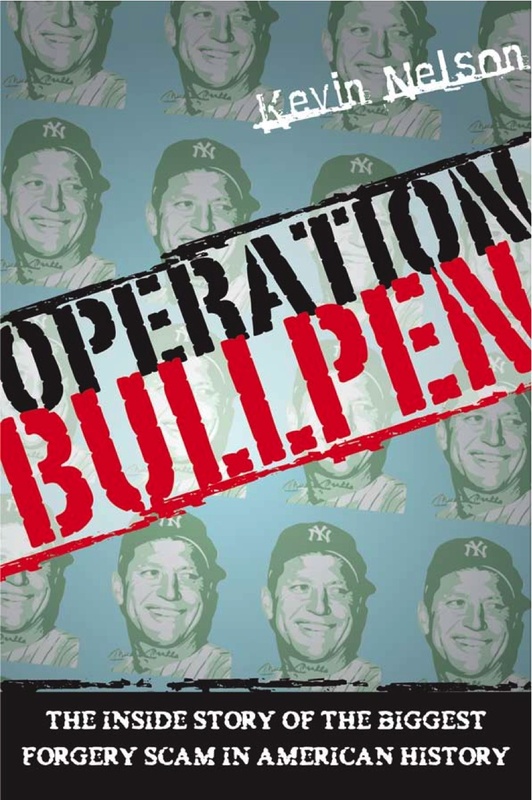 Other real-life characters in the Operation Bullpen saga also appear, notably the forger Greg Marino, who is shown in FBI undercover video, and FBI Special Agent Tim Fitzsimmons, who oversaw the three-year federal investigation that brought down the ring. Even Dan Marino—one of the countless superstars forged by Greg Marino (no relation)—comes on camera to explain that yes, virtually all the signed Dan Marino items being sold on the Internet are bogus. The key player in the program is a man whose face is cloaked in shadow and is identified only as “Eddie,” in order to protect his identity. It’s no secret that Eddie is Shelly Jaffe, a counterfeit memorabilia distributor who sold mountains of fake stuff in the ring, was busted by the FBI, and went to prison for six months for his crimes. “Forger’s Paradise,” produced by Joe Perskie and Andrew Bennett and edited by Tres Driscoll, with reporting by Armen Keteyian, is an extraordinary piece of television journalism. Must-see for every collector and everyone in the collecting industry. SCD: Are you still seeing items on the market from the forgers that were convicted as part of the FBI’s Operation Bullpen? James Spence: That stuff still comes in on a daily basis. In a sad sense, it’s profitable for us to knock this stuff down. When it gets back into the hands of some collectors, they might not destroy it or be able to get their money back, so they might try to pass it along to another unsuspecting party. I can’t put a big X through the signature. I wouldn’t want to have to deal with the legal issues that would come with that. Those items will always be out there, because I don’t know of anybody having this big bonfire where they’re putting all this bad stuff. SCD: Are you surprised anymore by anything you see in terms of forgeries? James Spence: I don’t think there’s any level that hasn’t been hit. We saw a bad Bob Feller autograph recently. Who would have thought that? We receive, on a daily basis, items that indicate just how bad it is out there. Whatever can be sold in bulk or where people can make money, you’ll find problems.